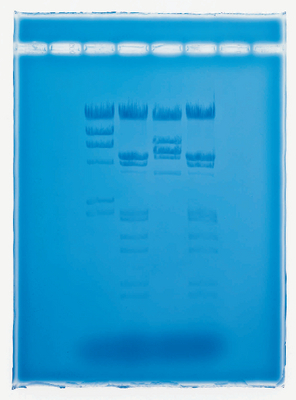 In this investigation, students will use electrophoresis technology to analyze DNA sequence by fragment analysis. 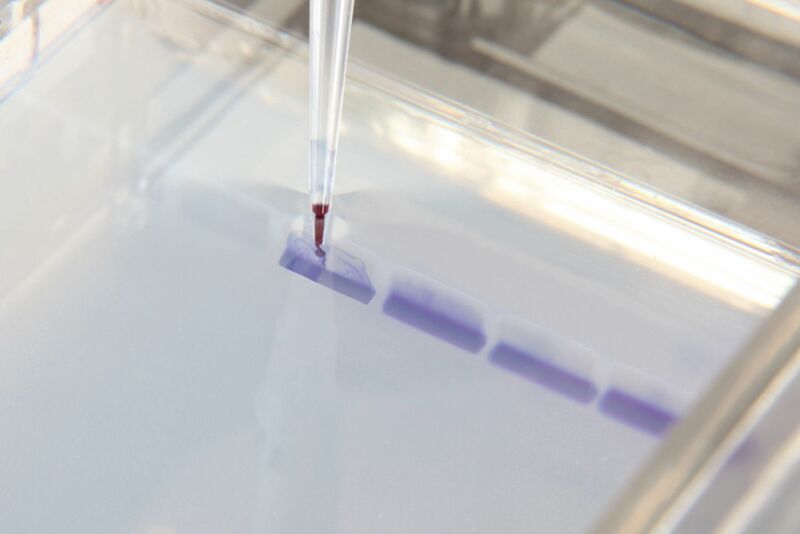 Simulating the results of a Southern Blot DNA Fingerprint, students will compare fragments of known size to fragments of an unknown size to calculate relative molecular weights and match fragment patterns. Further self-guided experimentation is explored as they investigate parameters of various factors that relate to DNA technology and restriction enzyme analysis. • Practice concept application instead of fact memorization. 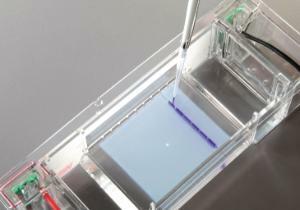 • Focus on self-guided experimentation instead of step-by-step lab procedure. • Investigate real-world concepts with greater curriculum flexibility. • Apply problem-solving skills to strengthen student inquiry. Ordering information: Included coupon can be redeemed by mail, phone, fax, or email. 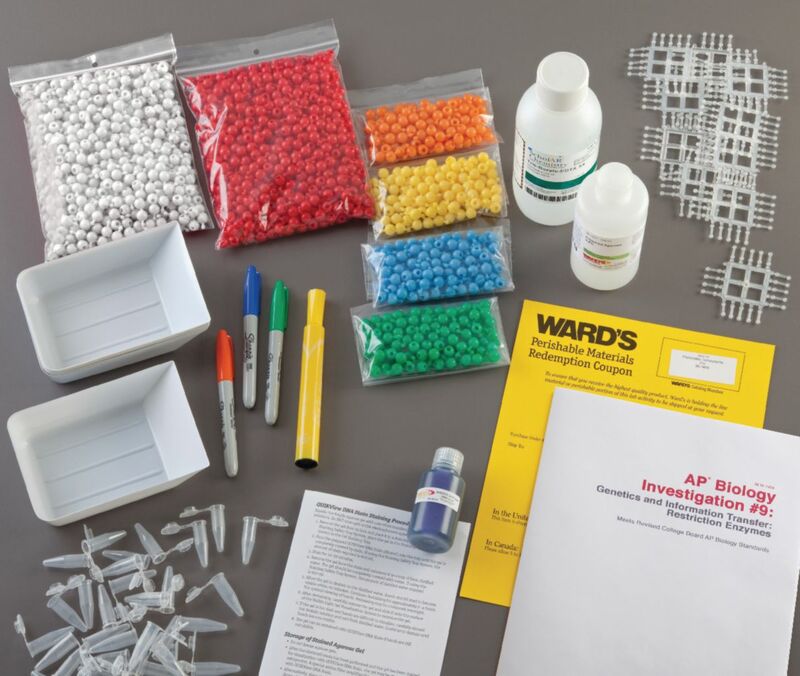 Kit contains the following materials for 8 groups of students: coupon for perishable materials, felt tip markers, prepared agarose, staining tray, pop beads with connectors, microcentrifuge tubes, buffer, instructions, and copy masters.